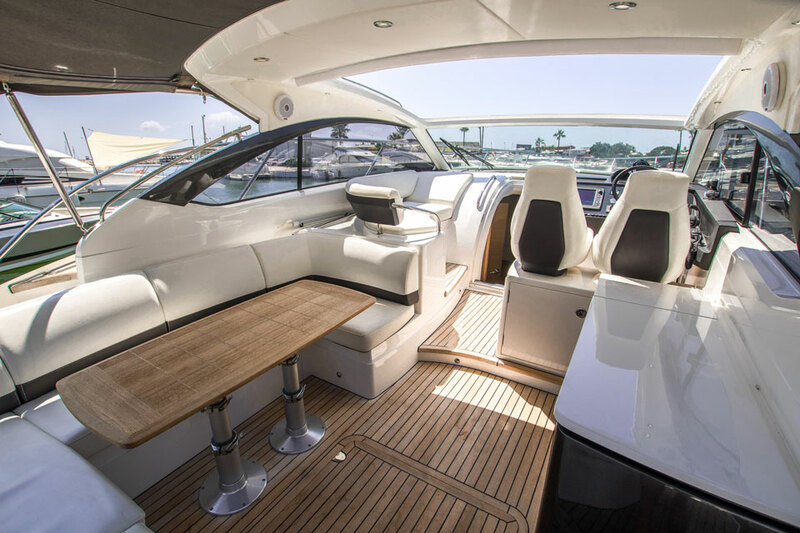 Performance, style and sophistication have long been associated with Princess Yachts. 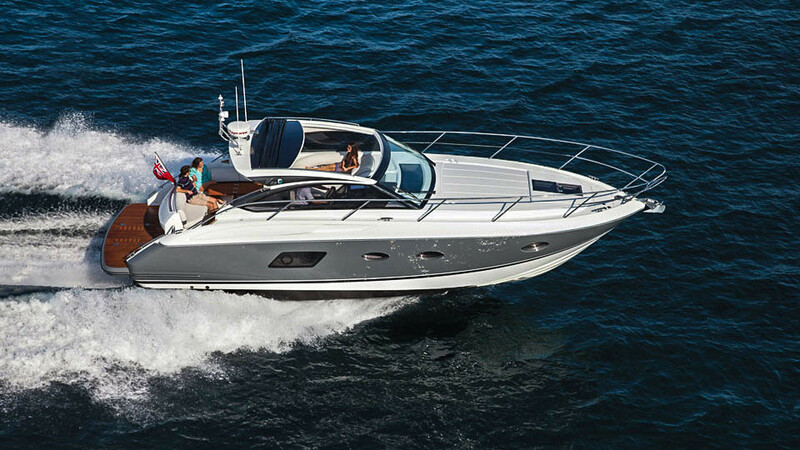 With her sleek exterior and outstanding performance, the award winning Princess V39 ceases to disappoint. 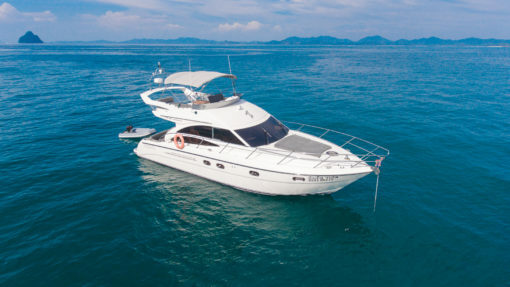 She is a superb choice for enjoying an active day out cruising with family and friends. 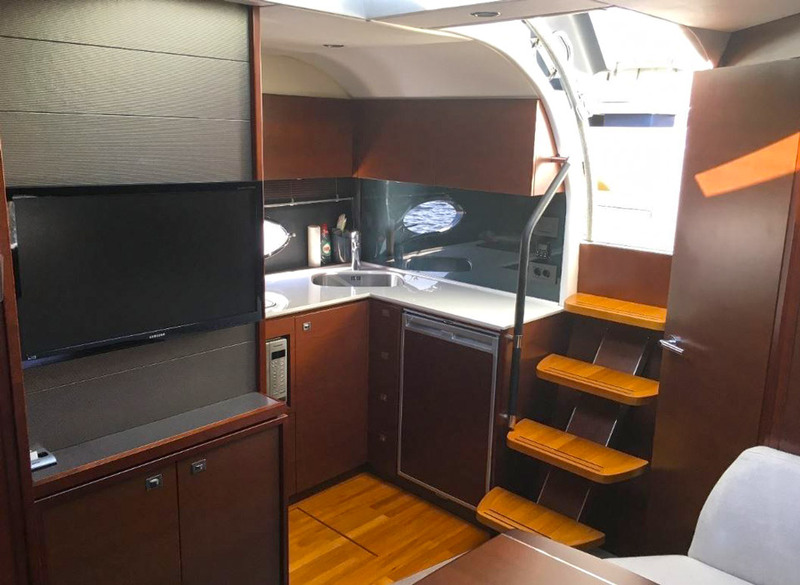 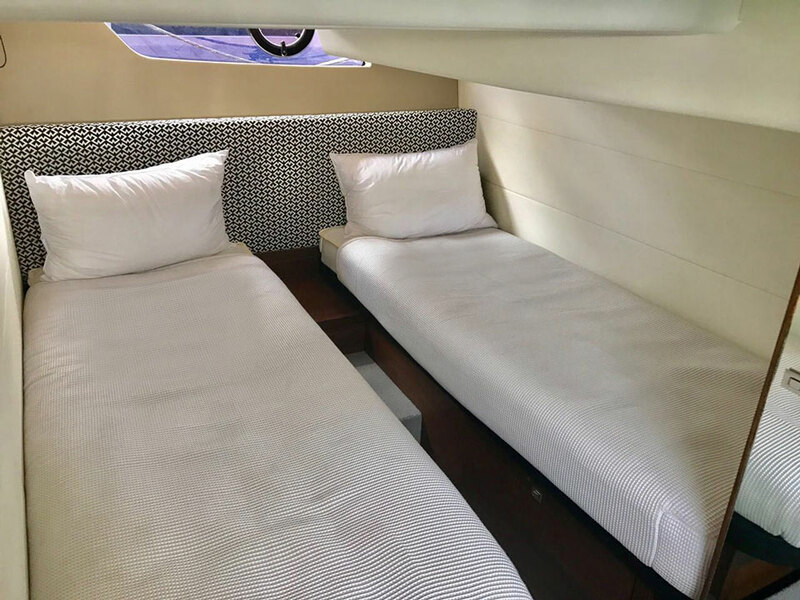 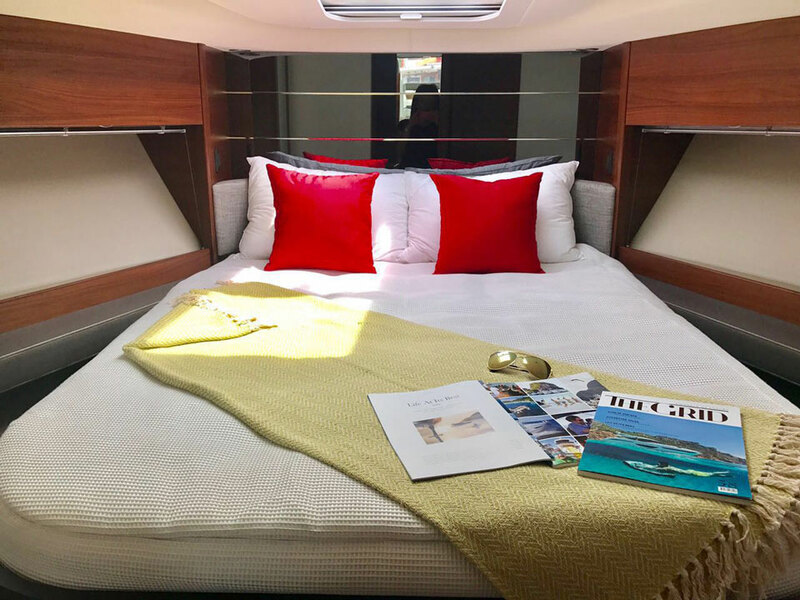 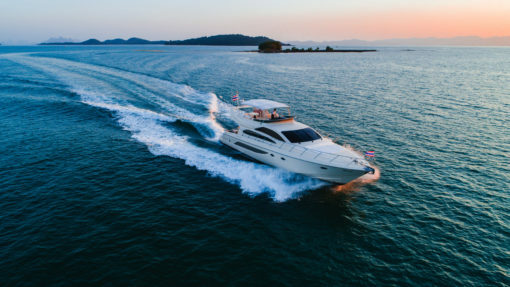 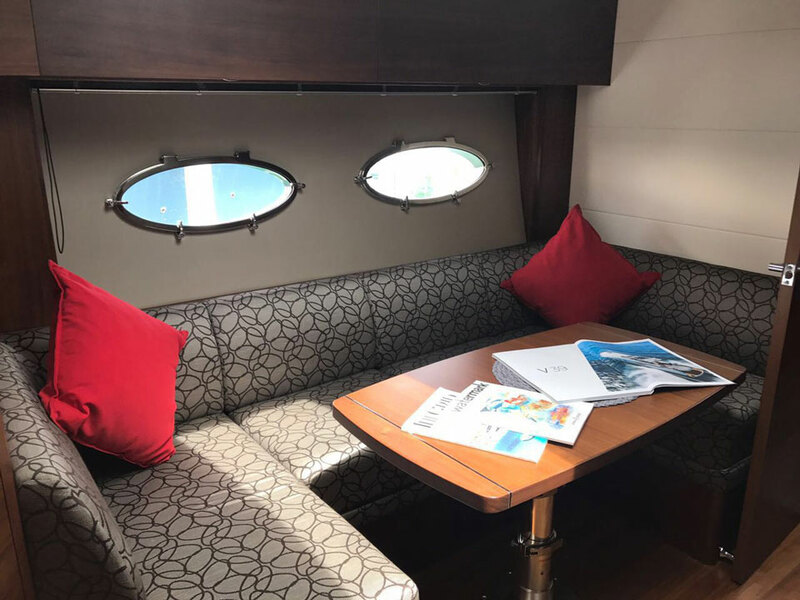 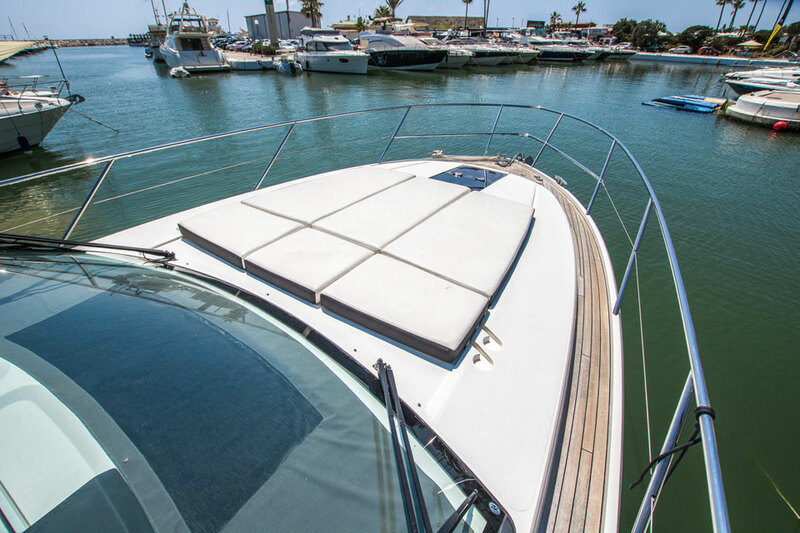 Whether you want to savour the sea breeze on the sun beds or take a break from the heat in 2 air-conditioned cabins and a well equipped spacious saloon below deck, the Princess V39 ensures maximum comfort. 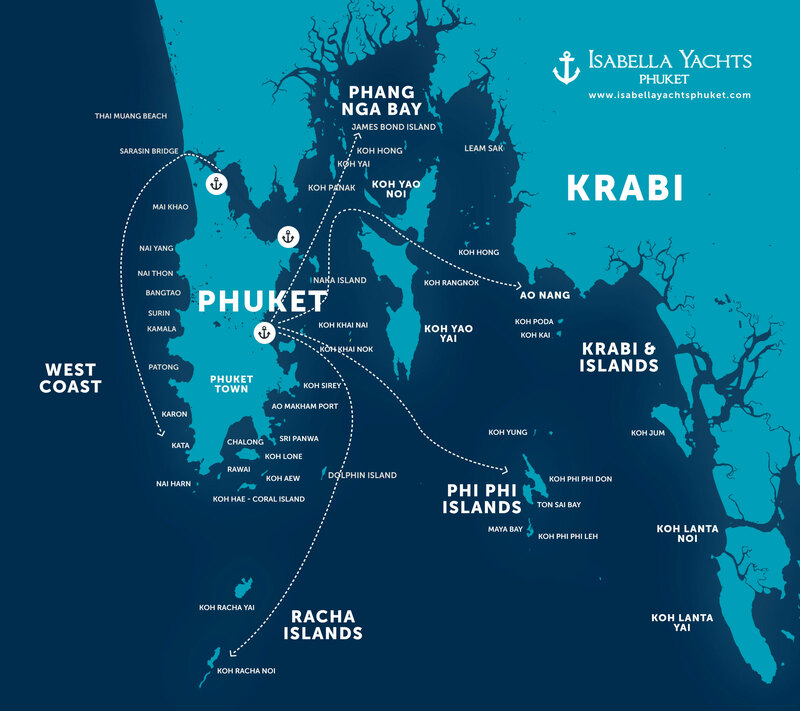 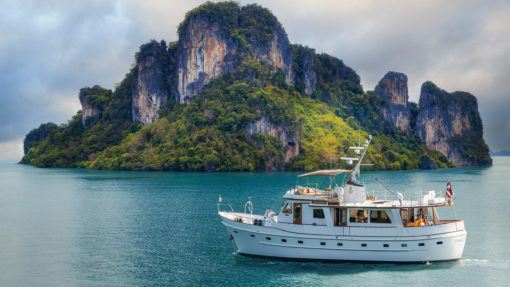 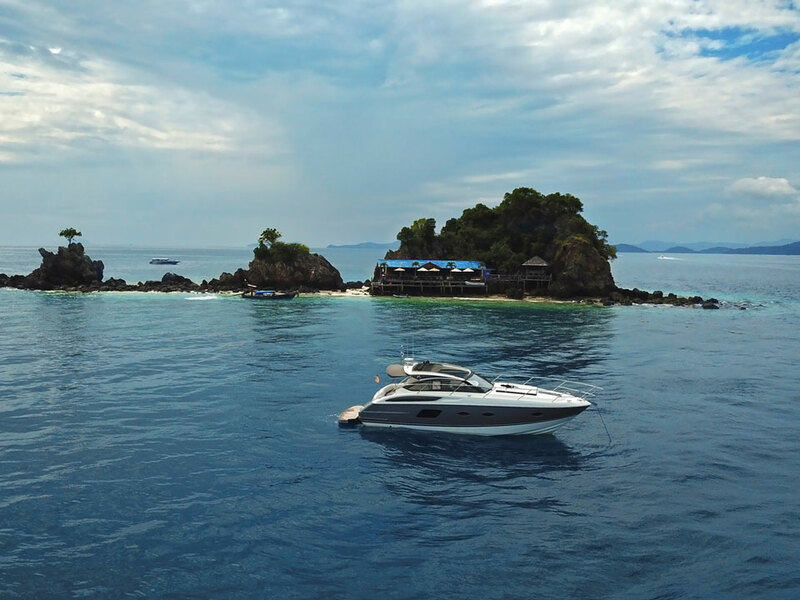 Let our professional crew take care of you while you enjoy the exquisite scenery of the Andaman Sea.